A few months ago I got an email in my inbox, which found me looking forward to this session for weeks! 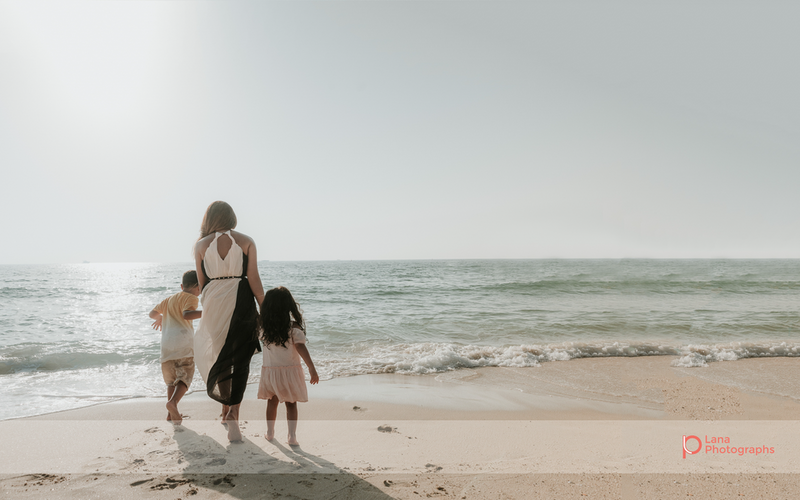 Sati and her family were coming to Dubai, visiting from London, and she was looking to hire a Dubai family photographer to document their time while on holiday. You see, Sati and her husband, Sandy, were celebrating their ten year anniversary, as well as their birthdays. It was such an important trip for everyone, and they wanted to walk away with beautiful memories and pictures to show for their time there. I couldn't be more excited that we worked things out! As you will remember, this isn't my first time documenting a family holiday, as you will remember from seeing my lovely time with Saira and her family, as well as Hosai and her family, so I was really excited to make this happen again! Sati and her family were staying at Jumeirah's Al Naseem hotel, one of my absolute favorite spots in town (in case you're curious, I also love the Emirates towers, despite being on the older side, but I think it's got so much charm still :) Al Naseem is a lovely family hotel, with many great restaurants, including one of my recent favorites Black tap - excellent burgers, and burger salads if you're on a diet! We spent time exploring the hotel, playing in the sand. Through our discussion, Sati explained how their family loves to laugh and cuddle, and that it was important for her to get some awesome shots of her kids interacting together now that they are at such a lovely age. She also wanted to get some shots by Burj Al Arab. I think it's safe to say we were able to do all that! I will let you be the judge of this, here's a link to their video and the pictures below! Leave me a comment to let me know what you think, and if you or someone you know, would be interested in a similar session, please reach out, I'd love to work with you!